VIENNA (Sputnik) - At the opening of the European Gas Conference in Vienna on Tuesday, Deputy Chairman of Gazprom Management Committee Alexander Medvedev elaborated on the implications of changes to the EU Gas Directive for the bloc as well as spoke on the prospects of Gazprom's gas export to the EU. Potential changes to the EU Gas Directive proposed by the European Commission may hurt EU investment climate and economy competitiveness, Medvedev said. "The initiative of the European Commission [is] to place some Energy Package to existing and planned gas pipelines outside the European Union. Probably that’s how Brussels just tries to block the Nord Stream 2 construction for political reasons but groundless changing of the rules in the European Union will have not just [leave] Russian gas or Gazprom [affected], it can ruin the investment climate of the entire European gas industry and significantly reduce the competitiveness of the European economy," he told reporters. The deputy chairman added that Gazprom was pushing for honest decision-making with consideration of production and ecological aspects for the benefit of European citizens. 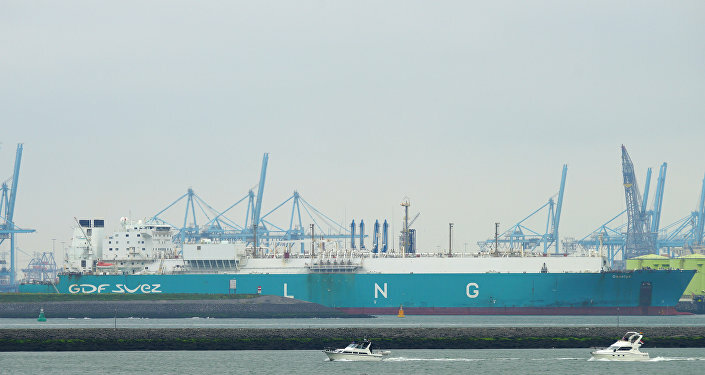 In November, the European Commission proposed amendments to the directive to ensure that all EU rules, including third-party access, tariffs, partial ownership and transparency, extend to offshore portions of import pipelines, which would concern the Nord Stream 2 pipeline, expected to bring gas from Russia to Europe. Nord Stream 2 is a joint venture of Russia’s Gazprom with France's Engie, Austria’s OMV AG, UK-Dutch Royal Dutch Shell, and Germany's Uniper and Wintershall. It aims to deliver 55 billion cubic meters of Russian natural gas a year to the European Union across the Baltic Sea to Germany, bypassing Ukraine. The pipeline is expected to be launched in 2018. Russian oil giant Gazprom's gas export to the European Union is expected to be lower by 3 percent in January 2018 compared to the same month last year due to warm weather, Medvedev said. Gazprom's annual export to Europe is expected to be stable, he added. "Demand factors will support a level of export of around 190bcm per year, although it is obviously influenced by weather factors," he added. In early January, Gazprom CEO Alexey Miller said that the company had boosted gas exports to Europe in 2017 by 8.1 percent year-on-year to 193.9 billion cubic meters.